As of late two denial-of-service (DoS) vulnerabilities evaluated as ones with Medium severity, affected the Linux kernel 4.19.2 in addition to its previous versions. The two defects are NULL pointer deference issues that can be misused by even a local attacker if he or she wishes to trigger a DoS condition. Tracked as CVE-2018-19406, the primary issue was observed to dwell in a Linux kernel function called kvm_pv_send_ipi, which is characterized in curve/x86/kvm/lapic.c. The defect is activated when the Advanced Programmable Interrupt Controller (APIC) delineate is not initialized correctly. To abuse the security defect, a local attacker can utilize the already 'crafted' system calls to achieve a circumstance where the apic delineate remains uninitialized. The second vulnerability, which has been doled out the CVE number CVE-2018-19407, impacts the vcpu_scan_ioapic function that is characterized in curve/x86/kvm/x86.c. The bug is activated when I/O Advanced Programmable Interrupt Controller (I/O APIC) does not instate effectively. “The reason is that the testcase writes hyperv synic HV_X64_MSR_SINT6 msr and triggers scan ioapic logic to load synic vectors into EOI exit bitmap. However, irqchip is not initialized by this simple testcase, ioapic/apic objects should not be accessed,” reads the analysis published by Wanpeng Li. 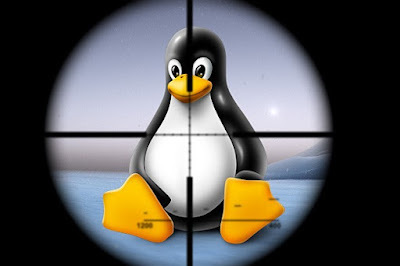 Albeit informal patches for the two blemishes were discharged in the informal Linux Kernel Mailing List (LKML) archive, however despite everything they haven't been pushed upstream.